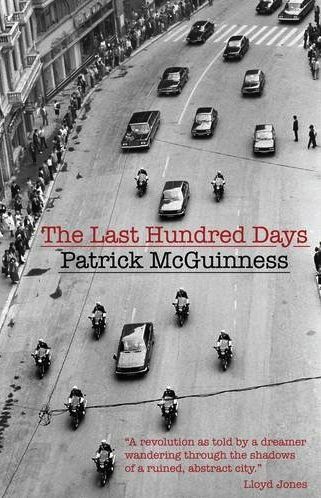 Within weeks of publication Patrick McGuinness’s debut novel, The Last Hundred Days found itself on the Man Booker long list, and deservedly so, although it failed to make the shortlist on the 5th September. Whatever. Set in Bucharest, the novel reawakens in the reader that state of stunned disbelief in the autumn of 1989 as successive Soviet bloc countries underwent bloodless revolutions, until there was only Romania there at the end of the queue, making a bloody hash of it. The novel describes the despicable oppression and deprivation of the Romanian people in the build-up to that coup, and paints a sordid picture of the corruption and hypocrisy of their rulers. At the same time it feels oddly contemporary, especially in the way that a grasping elite escape the consequences of their actions and rise above the chaos that they perpetrate. Not that the Ceausescu’s themselves did, of course, their messy trial and execution can still be viewed on youtube, and it provides a resonant coda to the reading of this novel. McGuinness was himself in Bucharest just prior to the fall of the regime, and his observations appear to have the scent of authenticity. This is a novel that rages and flows by turn, but rarely disappoints, tugging caustically towards its inevitable denouement. A version of this review appeared in The Independent on 8 September 2011.